Having purchased and used three of these amazing little gadgets, this is my Pocket Wizard Plus review. 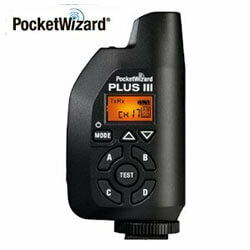 The PocketWizard Plus III Transceiver is a camera and flash triggering and receiving system all in a single unit. Its dual-function ability allows you, the photographer, greater flexibility and customization of your remote setup depending on your needs at any particular time. In the late 1980s, somewhere in Burlington, Vermont, an architectural photographer needed a device capable of triggering off-camera lighting on his shoots. He approached LPA Design with his problem, and they developed the FlashWizard radio slave, the predecessor to the PocketWizard. 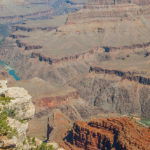 It requires a transmitter, which is normally connected electrically through the camera’s hot shoe to trigger a remote receiver connected by a PC cable to a remote flash unit. 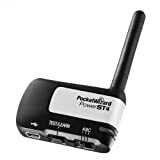 In 2009, PocketWizard rolled out a couple of new triggering devices specially made for Canon cameras, the MiniTT1 Transmitter, and the FlexTT5 Transceiver. A year later the bespoke version for Nikon arrived. Taking off-camera flash is made easy with the simple Slide-n-Shoot system, this is a new ControlTL software platform. All one has to do is slide-in, turn-on and shoot using the new E-TTL* and i-TTL** capable radio slaves. * E-TTL – In photography TTL (Through The Lens) is an automated system in which the camera works with a “Preflash” in order to determine what the correct flash output power from the actual flash bulb should be for any giving shot. 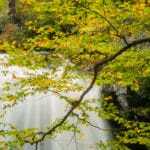 The E = evaluative metering of the ambient light. ** The iTTL metering is done by the camera system, and the flash simply has to accept the proper power level command. An improved internal antenna and a side-view LCD give this transceiver a distinctive look, compared to the previous Plus II model. The internal antenna makes the Plus III much more durable compared to the fragile soft antenna of its predecessor. The smaller, stubby antenna of the Plus III also enables for easier storage of the device. The side-view LCD is really useful while shooting handheld, as it integrates with your natural movements when you bring the camera to and from your face. Instead of employing switches and hard buttons only, the PocketWizard Plus III features an LCD screen for navigation, controlled with only a few soft keys. The LCD screen displays the channels, groups, mode functions, as well as a battery indicator. The latter is a real benefit because although the Plus III does use up more battery juice, at least you can always see how much charge remains. 32 Channels – The PocketWizard Plus III Transceiver enables you to trigger individual or groups of lights simultaneously or individually. Quad-Zone Triggering – Selective Quad-Zone Triggering keeps you shooting, without having to leave the camera position. Auto-Sensing Transceiver – The Plus III Transceiver, when set to TxRx, will instantly and intelligently switch between transmitter and receiver modes as needed. Two-Stage Remote Camera Triggering – The unique two-stage TEST button on the Plus III works exactly like the shutter release button on your camera. Press it halfway and your remote camera wakes up to meter and focus. Press TEST all the way to take the photo. When released, your remote camera will return to sleep mode normally; it’s a real battery saver. hands, a Plus III cabled to your remote camera, and the one connected to your remote flash. two range extending modes. Use Long Range Mode (LR) to nearly double the effective triggering distance in almost any environment. Repeater Mode (RP) – In very challenging environments or extremely long working ranges, place a Plus III in Repeater Mode (RP) between your transmitter and receiver to repeat the signal and complete the connection. High Speed Receive – The Plus III incorporates two range extending modes for the challenges of the real world. Sleek New Design – Durable, side profile design with an unobtrusive, internal antenna which minimizes visual obstruction between you and your subject. It weighs just 4 ounces, including the batteries. External Power and Firmware Upgradeable – The Plus III is normally powered by two AA (IEC:LR6) batteries. Compatible – The Plus III is compatible with all PocketWizard radios of the same frequency. Excellent User Interface – The Plus III has an intuitive user interface where all channels, zones and modes can be easily engaged via a soft-touch keypad, and displayed on an easy-to-read backlit 2.5cm (1”) LCD display. 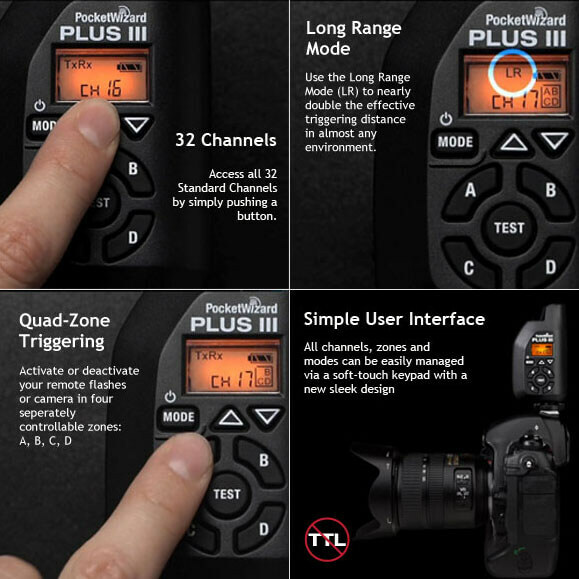 More in-depth information about the PocketWizard Plus III’s functions. TxRx: Transmit and Receive – A standard transceiver mode, this is probably the setting you’ll use most of the time when you’re shooting with off-camera flash. Tx ONLY: Transmit Only – All receiving functionality is disabled in this mode enabling you to use the Plus III only to transmit. Tx Only is best used when sharing the airspace with other photographers to prevent accidental triggering of the Plus III on your camera. Rx ONLY: Receive Only – All transmitting functionality is disabled in this mode. Use it when you’re in an area where there are multiple photographers and/or flashes operating. This prevents any remote Plus III’s from carrying out relay functions when mounted on the hot shoe of another camera. LR: Long Range – This mode greatly increases the maximum range of a radio within a given shooting environment. By using this mode, it’s possible that there may be a slight X-sync speed reduction. RP: Repeater – Automatically repeats and re-transmits any triggers received on the selected channel. This mode can be used to extend the working distance with flash or remote cameras when one or more Plus III’s are placed between the camera or flash and the transmitting radio. HSR: High-Speed Receive – This mode allows for triggering of remote flashes at higher frames per second (fps), and so minimizing the contact time of the flash/camera port, by up to 14.5 fps, this is remarkable! The Plus III has to be on the very same channel as other Pocket Wizard radios. These channels are set using the Plus III’s Channel Up/Down Buttons. Channels 1-16 allow the Plus III to communicate with previous Pocket Wizard versions, such as the Plus II. While using Channels 17-32 gives you more flexibility with your lighting control, as you can select either of Zones A, B, C, and D, meaning you have 4 lighting groups per channel. The Plus III is a radio transceiver, which can act as a transmitter or receiver for triggering remote cameras and flashes. At least two PocketWizard radios are required for wireless triggering. It can be connected to virtually any remote flash or camera using the proper cable. 1. One on the camera and one on each of my two Nikon Speedlite flashes. 2. One on the camera, one a Speedlite flash and the third handheld to trigger the camera’s shutter remotely. 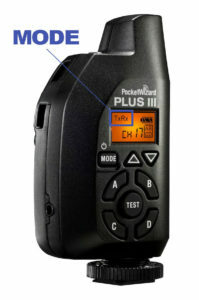 The Pocket Wizard Plus III is connected to your camera via the hot shoe – this will then be your transmitting radio. Connect a Plus III to each of the remote flashes you’re using with the appropriate sync cable – these will be the receiving radios. If you’re using a camera that has no hot shoe, or the hot shoe cannot be used, you can connect from the Flash/Camera Port of the transmitting Plus III’s direct to the camera’s sync terminal. Ensure batteries are properly installed. To turn on the Plus III, hold down the Power/MODE Button for around two seconds. The Status LED will blink green every couple of seconds, this indicates normal operation. It blinks red in sync with a trigger. Hold down the Power/MODE Button for around two seconds to turn off your Plus III. I’ve been using Nikon and a few of their Speedlight flash units with the built-in Master and Remote controls. 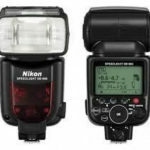 Once PocketWizard developed the Mini TT1 and Flex TT5 for Nikon, these remotes could be used right out of the box – just install the batteries and go! I like the range of PocketWizards, as there’s something for everyone. Using the PowerST4 Receiver, it’s possible to use remote power control of all Elinchrom RX flashes using PocketWizard ControlTL technology. With a MiniTT1 Transmitter or FlexTT5 Transceiver attached to your camera, and a PowerST4 plugged into the Elinchrom RX flash, you are able to adjust the power settings of the flash straight from your camera. If you add an AC3 ZoneController, you’ll have the flexibility to control 3 different lighting zones in 1/3-stop increments with up to a six-stop range. For maximum control of your lighting, you can utilize the unique features of PocketWizard, i.e. Optimized Rear Curtain Sync & HyperSync. The ability to get close up to birds is limited to one’s ingenuity and guise. I’ve never photographed from a hide, so have just relied on setting the camera up as close as possible to where I think the birds are going to land. Somewhere like a birdbath (below) or known feeding station is a good place to start. 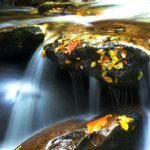 What I needed was a way to fire the camera’s shutter and the flash from a remote location, having previously set it up on a tripod in the best possible position. And the exact device to do this is a Pocket Wizard. However, the Pocket Wizard will only trigger the remote flash units wirelessly and not a remote camera’s shutter – which is what I wanted to do. After some research, I found the right cable to connect the camera to the Pocket Wizard – it’s a PocketWizard pre-trigger motor drive cord. This is one mighty useful little cable! A selection of photos taken using three PocketWizards, one on the tripod-mounted camera, the other on a SB900 flash unit and the third remotely. MC-DC2 Motor Drive Nikon compatible) is attached which will actually trigger the camera’s shutter. Should you wish to do this with your own make of camera, check out the Pocket Wizard cable finder for the correct cable. If I had used just the camera itself, I would have only needed the PocketWizard on the hot shoe without the need of attaching any sync cables to the camera. Have a look at this to see why Pocket Wizards are so fantastic. They allow you so much flash creativity. Get the most out of your PocketWizard radios. PW TV has a bunch of experts, their our own tech support staff; who will try to help you find the answers to your technical questions. Have you had any experience with Pocket Wizards? If so, please share your thoughts and impressions on the subject. We would like to hear from you in the comments below. Thanks for taking an interest in the topic!